As the chill of the winds begins to gather, and the summer breezes begin to fade, and with the last of the summer harvest being picked, the cold dark winter days are almost upon us. This was the time period in the early days of this country, that the preparation to hunt for game, in order to store up for the months ahead, was about to begin. If the families were to survive the winter, care in deciding and storing up provisions was an important factor for the days ahead. In this day and age as the summer activities come to an end, a need to prepare for what will be needed to carry us through the wintry weather, is essential in renewing our physical and spiritual bodies for the coming spring. Regrettably, unlike the days of old, in this modern world, there is a lot to amuse us and the importance and need of refreshing and renewing our inner life has taken a backseat, to the wonderments and excitements of being entertained during the coming months. Fortunately the Universe in its wisdom and foresight has a plan for us and has given us some difficult aspects to work through and at the same time the Universe also has given us other aspects to help us to successfully accomplish our goals. Our responsibility is to listen and to work through the messages, which our higher self is communicating to us. 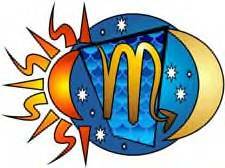 One of the blessings the Universe has selected for us is the up coming 22 Libra 32 New Moon on October 15th 2012 at 5:02 am PDT encouraging and emphasizing that imparting knowledge inspires change. It is not only the imparting of our knowledge, but at the same time to listen and to learn from others. We need to remember that we are all connected and need to work together for the benefit for all. That Mother Earth, the Moon, the Sun and all creation has a message to share, and that message is we all need to focus and to work together in unison, for the benefit of all that inhabit the earth. 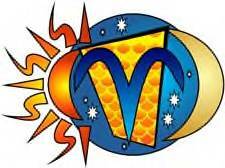 “The Sabian symbol for the 23rd degree of Libra is taken from “The Sabian Symbols in Astrology by Marc Edmund Jones”, and what follows are my comments. Libra 23 Chanticleer this is a symbol of the soul’s ultimate self-realization through a basic integrity of its own insights or judgments, and of the unchallenged acceptance it is able to gain for its particular role in human affairs. Implicit in the symbolism are the practical rewards which come from the more effectively dramatized distinction of everyday living, and the enduring significance which the self achieves for itself through the place in life it succeeds in making its own. The keyword is fervor. When positive, the degree is a fearless self-affirmation which gains a sympathetic attention and wins immediate allegiance from the hearts and minds of everybody, and when negative, ill-starred conceit and ineffective bombast. The definition of Chanticleer taken from the American Heritage Dictionary is 1.) The rooster 2.) To sing, and I believe the author is implying the rooster is the master of his domain signaling the dawn of day with a loud and boisterous crow. This symbol speaks of the confidence of the self image and the need for others to recognize and to acknowledge this perception the person has of them self. The image dramatizes the enthusiasm, ambition, assertiveness, and the pride and the purpose of the position the person holds in the community. It also stresses the need to draw attention to what is important to all involved, and a secondary and more subtle implication, is that a wake-up call to what is important is vital at this moment in time. The keyword, fervor is the answer to our success at this time, as passion and dedication is the impulse to continue when the going gets a bit rough. 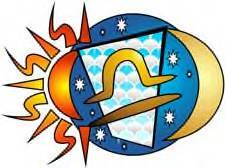 This symbol emphasizes the message of this 22 Libra 32 New Moon that the knowledge is power and that imparting that knowledge inspires change. Although change is in the air through the aspects that have been lingering in the night sky, knowledge is it’s impetuous.